Exciting kit with over 25 crawling creature activities! 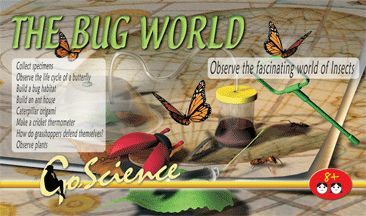 Observe and learn all you need to know about bugs, insects and plant life. Kit also includes net, magnifying glass, charts and other simple materials. Go out and start your own collection! Fun for all ages!